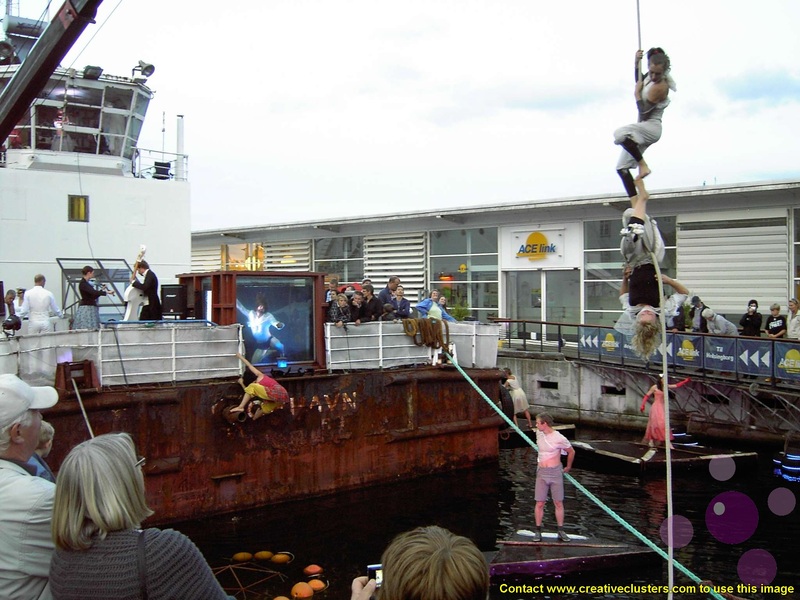 A performance on a quayside in Denmark, drawing on an eclectic mix of European arts and entertainment forms. Cities everywhere are competing intensively to be seen as creative places to live, work and visit. Comments closed — Trackbacks closed RSS 2.0 feed for these comments This entry (permalink) was posted on Friday, January 14, 2011, at 11:16 pm by Simon. Filed in Slideshow.